What do you do when there’s nothing to bet on, or you’re waiting for your latest Sports bet to come through? You could sit by and wait, or you could stay entertained with Betway’s exciting range of betgames. Not only are they always live, but you can bet small and win really, really big. 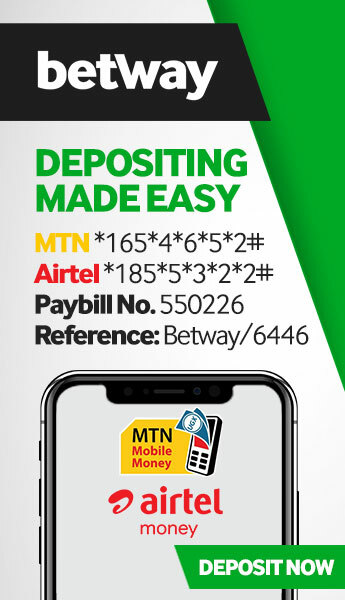 Just like the thrilling games available in the Betway Casino [link to casino], Betgames are available all day, every day, all year round, and they give you the chance to stay entertained and win big in between kickoffs. One of the most exciting things about betgames is that they are always live and draws happen every three to five minutes. Giving you the chance to win big, in less time. If you’re looking for an entertaining way to pass time and win big for a very small stake, then betgames is perfect for you. Click here to register a new account and get started. With a unique selection of games, charming presenters, and live stream technology, you’ll be entertained for hours on end. Betgames are just one of the many exciting products available on the Betway site. Much like Virtual Sports and Live Betting, betgames offer hours of endless entertainment and several ways to increase your bankroll. 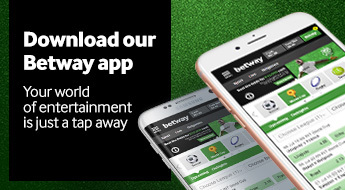 Everything you need to know about Betway can be found on our About Us page. From the wheel-of-fortune-styled Lucky 5, Lucky 6, and Lucky 7 games, to the chance to win big with the simple spin of a wheel, there is a betgame for everyone. If you prefer the faced-paced versions of your favourite table games like Texas Hold’em and Blackjack, be sure to check out Bet on Poker and War of Bets. If dice games are more your thing, we offer two exciting games to keep you entertained. Dice and Dice Duel are similar only in that they both involve dice. Dice Duel is played with two dice – one red and one blue. The dice are rolled and you bet on which dice will produce the higher number. You can also bet on a specific number being rolled, or the total of both dice together. Dice, however, is a completely different game. It involves five identical dice being placed inside a dice box, shuffled and the rolled by a presenter. You are given the chance to bet on a number of outcomes such as different combinations, numbers, odds/evens and even the total sum of all the dice. If you’re looking to play your favourite table game, but don’t have the time to sit down for hours on end, then War of Bets, Bet on Poker, and Baccarat are the perfect games for you. They are all very similar to specific table games, with the exception that you’re betting on an outcome, and the round is over in a matter of minutes. On games like Lucky 5, 6, 7, Wheel, Dice and Dice Duel, the live studio stream starts shortly before the draw takes place. A TV screen showing live sport or a sports channel, and an in-studio clock showing the name of a city and the time of that city will let you know that a draw is happening live. War of Bets, Bet on Poker and Baccarat are always live and will constantly have a TV channel on screen for you to reference. If you have any questions regarding betgames, please feel free to get in touch with our world-class customer service team through our Contact Us page. Our support team is available 24 hours a day, 7 days a week. You can also contact us on Social Media via Twitter or Facebook.